Oregonians share a special connection to the outdoors. Governor Kate Brown and First Gentleman Dan Little want to share their love for the outdoors with others and increase connections to the outdoors by more Oregonians. Let’s determine barriers to the outdoors, and develop solutions to expand access to more Oregonians. Let’s chart a roadmap to the outdoors and create outdoor enthusiasts. Outdoor recreation businesses, tour operators, organizations and individual outdoor adventurers interested and involved in connecting Oregonians to the outdoors are encouraged to attend this symposium. By attending and supporting this effort, we hope to improve the quality of life for all Oregonians by fostering an appreciation of Oregon’s natural wonders by increasing access to the outdoors. 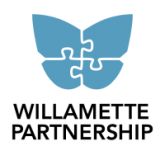 The Roadmap to the Outdoors Initiative is working in partnership with the Oregon Outdoor Recreation Initiative to lead the Diversity of Participants Impact Area. Go here to learn more about the 15-year vision of this Impact Area. Share current knowledge on Oregonians who use the outdoors and those who don’t. Build connections between organizations that are working to increase outdoor recreation to all Oregonians. Identify barriers and lack of opportunities for people to access the outdoors, and potential solutions. Take action to overcome barriers. 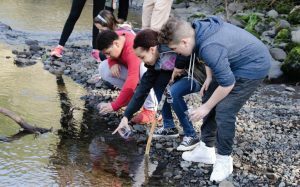 Making the Outdoors Available for All Oregonians: There is equitable access to nature and the powerful benefits that spending time and recreating in nature provides. Youth: Youth have a multitude of opportunities to learn about and experience the outdoors. Health and Wellness: Activities and spending time in the outdoors is recognized as beneficial to our health and wellness. Connections: Oregon’s outdoor recreation industry and community groups collaborate to promote and increase equality of access to the outdoors. 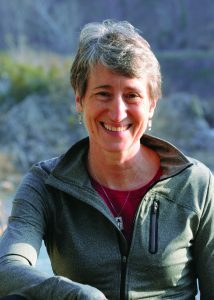 Sally Jewell, former US Secretary of the Interior will join in discussions with Oregon leaders and advocates as we work together to chart a roadmap to the outdoors and develop solutions to expand outdoor access to more Oregonians.